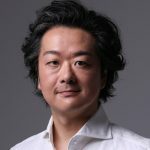 In 2013 Daisuke Muranaka was appointed Artistic Director and Principal Conductor of the “Orchestra AfiA”, a newly formed symphony orchestra in Tokyo, with which he embarked upon a series of concerts and recordings in Tokyo and Yokohama. Their intended repertoire includes Mendelssohn, Schoenberg, Mozart and a Beethoven cycle in 2014. His most recent European performance was based on the theme of “Nature and Music”. He continued this idea when in Italy, with the Orchestra Sinfonica Siciliana in Palermo, he conducted a “Sea” programme with Britten, Wagner, Mendelssohn and Debussy , and then, when in UK with the English Chamber Orchestra, he presented a “Moonlight” programme, conducting Schoenberg, Mozart and Britten with Yuri Bashmet as viola soloist. Mr. Muranaka ’s glittering career as a conductor first came into prominence in 1996, when he made his operatic debut in Italy with “Die Zauberflöte” in the Treviso Teatro Mario Del Monaco with only two hours notice! This was because of the sudden illness of Peter Maag. Mr. Muranaka had a long collaboration with Peter Maag and was his assistant at the time. Daisuke Muranaka has over 30 operas in his repertoires, and has conducted at some of the world’s major opera houses including La Grand Teatro La Fenice di Venezia , the Teatro Massimo di Palermo, the Glyndebourne Festival Opera Theatre, the Theater St. Gallen, the Teatro Comunale di Treviso “Mario del Monaco”, the National Theater in Tokyo and many others. Among which, in the newly opened Sicilian Teatro Massimo di Palermo, Mr. Muranaka’s interpretation of “Manon Lescaut” received great acclaim. Norma Fantini was in the title role and a review by the Gazzettino di Treviso said; “Puccini must be conducted like this..”. 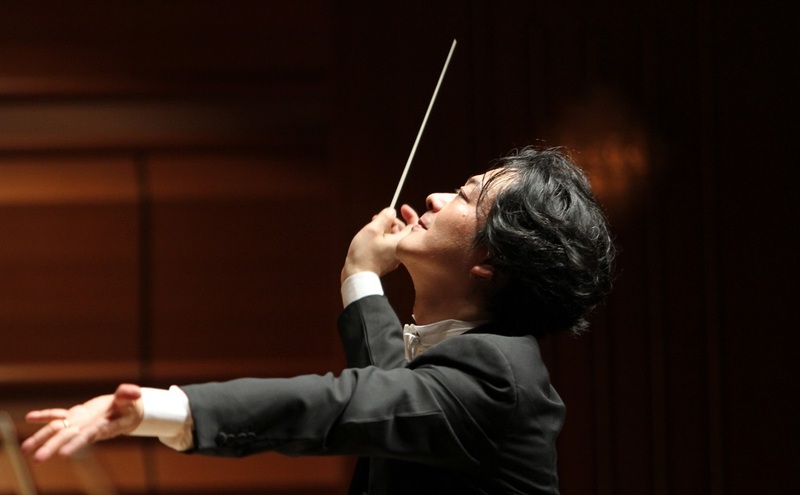 After winning first prize in the “Mario Gusella Conducting Competition”, Daisuke Muranaka was invited to conduct by many prestigious orchestras, including the English Chamber Orchestra, the Brussels Philharmonic , the NHK Symphony Orchestra, the Tokyo Philharmnonic, the Orchestra Sinfonica Siciliana, the Orchestra Toscanini, the Pomeriggi Musicale di Milano, the Orchestra del Teatro Fenice di Venezia, the Orchesta del Teatro Massimo di Palermo and many others. He also conducted many Italian premieres for contemporary composers such as F. Pennisi and H.W.Henze, gaining the composer’s own praise for his interpretation. performances have taken place in concert venues such as the Verdi Hall (Milan), the Palais des Beaux-Arts (Brussels), the Cadogan Hall (London), the Ueno Bunkakaikan (Tokyo) , the Teatro Massimo , the Teatro Politeama (Palermo), the Grand Teatro Fenice (Venezia). Mr. Muranaka was also the founder of the “Yokohama OMP Orchestra” and the “Yokohama Opera Mirai Project” in Minato-Mirai Hall in Japan, and he became their Artistic Director and Principal Conductor. His long lasting collaboration with the opera producer, Michael Hampe, received rave operatic reviews and Daisuke Muranaka was awarded the prestigious “Yokohama Award” for his contribution by the City of Yokohama. 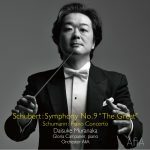 He enjoyed great success as a conductor in Japan after winning the prestigious “ Idemitsu Music Award 2001” and he has worked with almost all Japanese Orchestras such as the NHK Symphony, the Tokyo Philharmonic, the Yomiuri Symphony, the Kyoto Symphony, the Nippon Century Orchestra, the New Japan Symphony, the Japan Symphony, the Kyushu Symphony, the Gunma Symphony, the Tokyo City Philharmonic and the Tokyo New City Orchestra. Born in Kyoto, Mr. Muranaka currently lives in Tokyo. 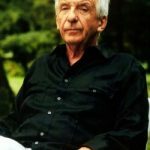 He studied International Relationship at the Tokyo University for Foreign Studies and conducting at the Musikhochschule in Vienna with K. Oesterreicher and L. Hager. His mentor was Peter Maag, with whom he worked in many Italian theatres. His discography includes a recording of Rachmaninov 3rd Piano Concerto with Paquale Ianonne (Phoenix) and Schoenberg Transfigured Night with the Orchestra AfiA(WAKA) that will be released in 2014. He has appeared in many TV and radio productions in Japan and in Italy and is also well-known as a radio commentator in Yokohama as one of the personalities on the FM Yokohama Classical Programme. Daisuke Muranaka’s future engagements include Mendelssohn’s Ein Sommernachtstraum and Erste Walpurgis Nacht with the Orchestra AfiA in Tokyo and the Beethoven Pastoral Symphony with the English Chamber Orchestra in London’s Cadogan Hall in 2014. © AfiA LLC. 2018, Yokohama, Japan. All rights reserved.